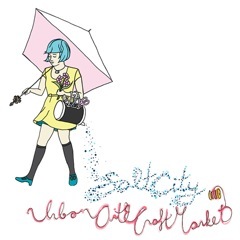 The Salt City Urban Art & Craft Market returns for a second year on Saturday, Oct. 23, from 10 a.m.-6 p.m. A diverse group of local artists and designers will showcase and sell their work in the Case Supply building on Syracuse’s Near Westside. Last year’s event drew more than 800 visitors. This year, market organizers have expanded offerings to create a bigger and better event for small independent businesses and the Central New York community. The Case Supply building is at 112 Wyoming St. between W. Fayette and Marcellus streets. Off-street parking is available. Connective Corridor buses will be running from the Syracuse University area to the event location. The mission of the independent market is to provide a platform for funky, alternative and contemporary handmade artworks. Past market vendors have included handcrafted stationery designers, green clothing designers, mineral make-up cosmetologists, soap manufacturers, illustrators and ceramic artists, among many others. This year’s market includes an exciting array of vendors, in addition to showcasing local music and food offerings including Strong Hearts Cafe, Recess Coffee and Roastery and Roji Tea Lounge. When selecting vendors, the market’s selection committee looked for unique and creative artists from the CNY region that create well-designed products inspired by contemporary trends. Other factors valued by the market’s organizers included the eco-conscious use of materials, innovative packaging and original business branding. The urban market is the brainchild of local residents Briana Kohlbrenner and Vanessa Rose. Having seen a trend in alternative market places in other cities, Kohlbrenner and Rose teamed up to begin networking with local artists, designers and crafters, leading to the launch of the first market last October. This year, two new local collaborators have joined the team. They are Courtney Rile and Stasya Panova. “We were inspired to create an alternative shopping experience that redefined art and craft with a twist of the unexpected,” says Kohlbrenner. For more information about this year’s market, contact Rose at (917) 680-6195.